Firefox Add-ons for Web Developers & Designers – Firefox is the best web browser in the world and it’s used by most Internet users. My daily internet activity is blogging, updating my post and editing my blog theme everyday. All my Activities can be made easier using Firefox add-ons that especially for web developer or designers. 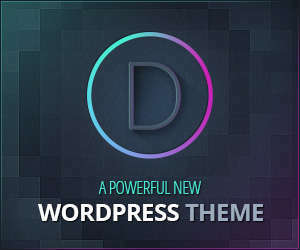 As newbie, I learn editing my theme everyday using firebug. And now, Editing the CSS file isn’t really painful :). 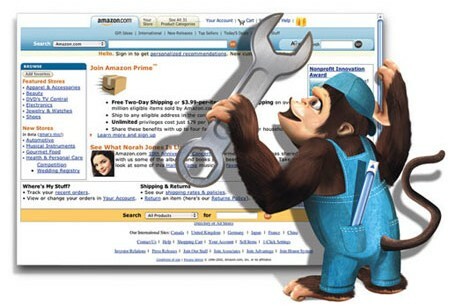 Here’s some firefox add-ons that are commonly used by the web developers and designers. and don’t forget to check out other related Firefox add-ons post. Thank you for reading my blog :). There’s available additional firebug add-ons. YSlow – analyzes web pages and why they’re slow based on Yahoo!’s rules for high performance web sites. 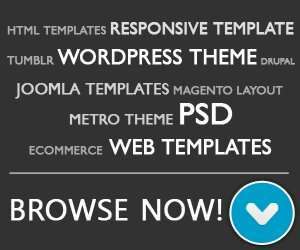 FireQuery – Firebug plugin for jQuery development. CSS Usage – Firebug extension to view which CSS rules are actually used. 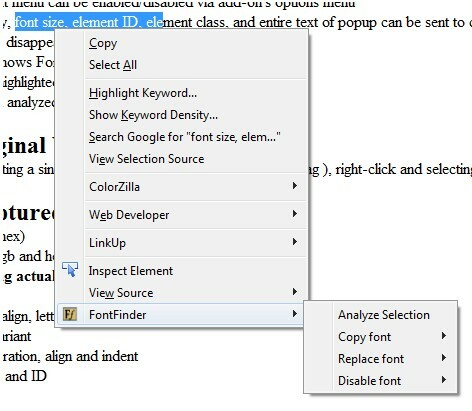 Inline Code Finder for Firebug – Inline Code Finder is an add-on to Firebug, to be able to find HTML elements. Validator – Firebug extension to validate HTML. Along with transferring your files quickly and efficiently, FireFTP also includes more advanced features such as: directory comparison, syncing directories while navigating, SFTP, SSL encryption, search/filtering, integrity checks, remote editing, drag & drop, file hashing, and many more. 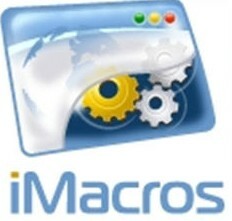 iMacros was designed to automate the most repetitious tasks on the web. If there’s an activity you have to do repeatedly, just record it in iMacros. The next time you need to do it, the entire macro will run at the click of a button! With iMacros, you can quickly and easily fill out web forms, remember passwords, create a webmail notifier, download information from other sites, scrape the Web (get data from multiple sites), and more. Grabbing screens (screen capture) and pulling images from the web just got a bit easier. With the Pixlr Grabber add-on, you can copy, save, share or even edit your final grabs – including any image or background – with just a right-click. Advanced Eyedropper, ColorPicker, Page Zoomer and other colorful goodies. With ColorZilla you can get a color reading from any point in your browser, quickly adjust this color and paste it into another program. You can Zoom the page you are viewing and measure distances between any two points on the page. The built-in palette browser allows choosing colors from pre-defined color sets and saving the most used colors in custom palettes. DOM spying features allow getting various information about DOM elements quickly and easily. 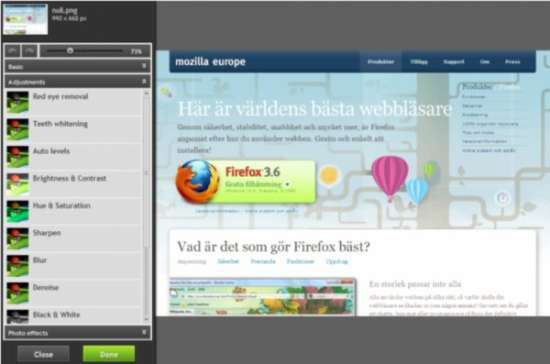 ShowIP is a Mozilla Firefox extension which shows the IP Address of the current page in the browser’s status bar and allows queries to different databases about it when you right click on it. The IP is colored red for an IPv4 address and green for an IPv6 address (hence the name). 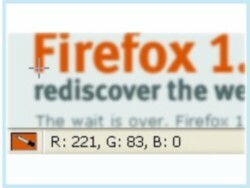 Search and replace function for firefox, features: Reg Exp editor, undo, automatic substitutions on AJAX pages, etc. The User Agent Switcher extension adds a menu and a toolbar button to switch the user agent of a browser. The extension is available for Firefox and will run on any platform that this browser supports including Windows, Mac OS X and Linux. 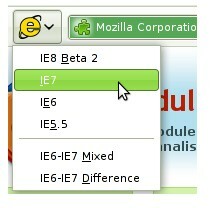 IE Netrenderer is an extension for Mozilla Firefox Web browser, giving you a quick access to the IE NetRenderer service. It enables you to get a screenshot of any webpage as it appears in the different versions of Internet Explorer.